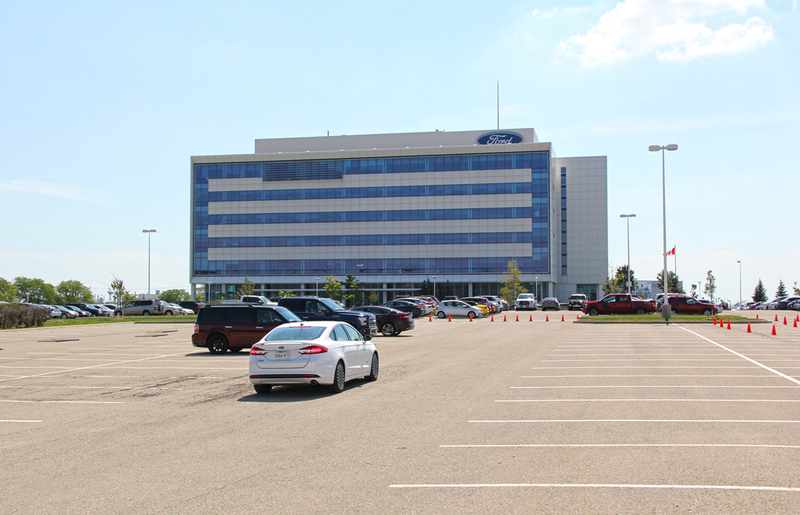 Earlier this week I was at the Canadian Ford head offices in Oakville, Ontario to get a crash course on the company’s latest technology fitted to their cars, SUVs and pickup trucks. Here’s what I learned. 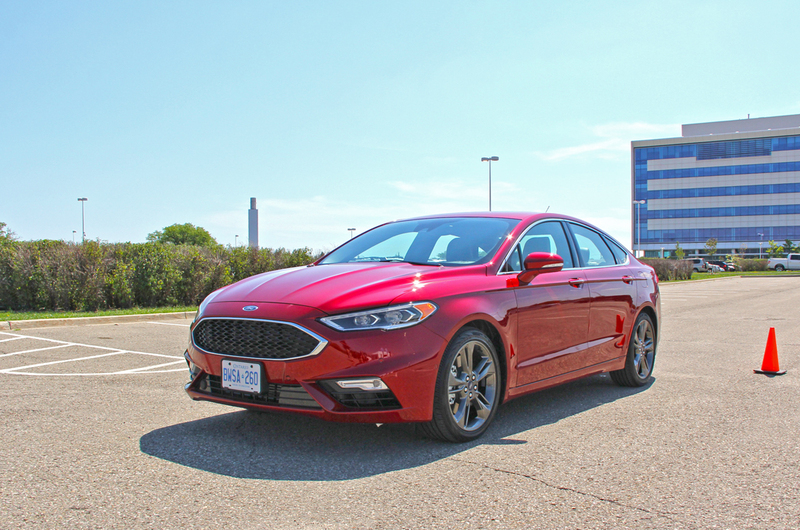 The all-new 2017 Ford Fusion V6 Sport was on display to show the new Continuously Controlled Damping (CCD) system with Pothole Mitigation. Basically, this system significantly reduces the unpleasant feeling you get when driving down a pothole ridden road. It does this by stiffening up the shock absorbers when the front wheel fist hits a depression in the road. The sensors can send a signal to the rear in milliseconds to tell them to stiffen the shock absorbers and allow the car to almost skip over the pothole. Ford’s enhanced parking assist offers steering assistance to park your vehicle in a parallel spot or a perpendicular spot. It also can help you pull out of a tight parking spot, all you have to do is control the brake and gas pedals while the car with all its sensors and cameras does the steering for you. 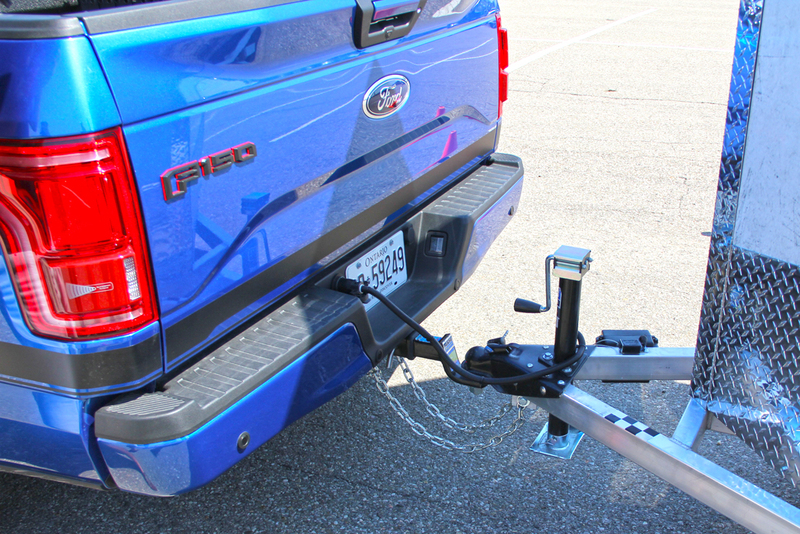 Ford pickup trucks offer a segment-first in the form of their Pro Trailer Backup Assist technology on the all-new F-150. It allows drivers to steer a trailer left or right by just turning a knob. The truck controls the steering input as you control throttle and turn the knob left or right telling the truck where you want the trailer to go. It does this by using the backup camera and a sticker on the trailer. 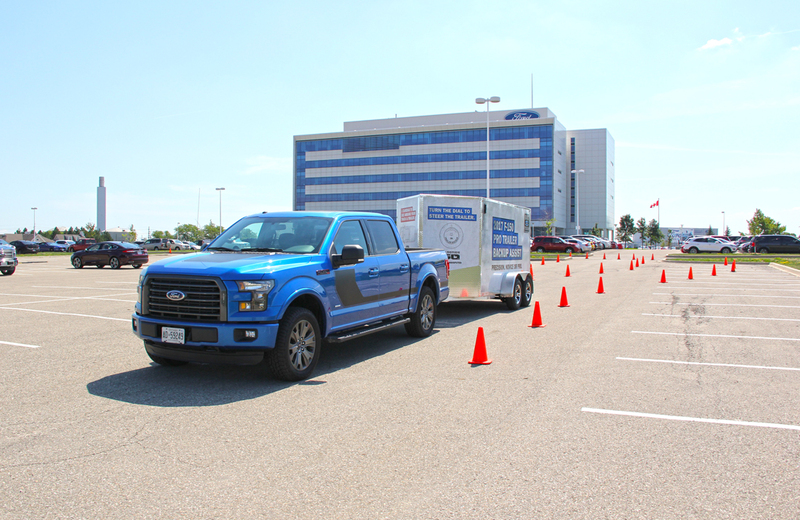 The sticker is measured out to a specific distance depending on the trailer size and programed into the F-150s computer. It all sounds magical, and the result is effortless backing up of a trailer, making you, the driver, look like a pro even if you only do this once a year. FordPass through SYNC Connect will now be standard on most 2017 models. SYNC Connect allows drivers to use FordPass to remotely lock, unlock your car, create scheduled vehicle starts, start and stop your car, track your vehicle and even check your fuel level from your smartphone. Owners enable SYNC Connect through a two-step verification process to protect personal information, confirming setup on both the app and vehicle touch screen. The service is provided for five years at no cost to customers. SYNC Connect makes its global debut on the 2017 Ford Escape, followed by the new Ford Fusion later this year. The platform will then migrate to the rest of the Ford lineup. Most 2017 models equipped with SYNC 3 will also feature Android Auto and Apple CarPlay connectivity. Mirzya’s title track is out!